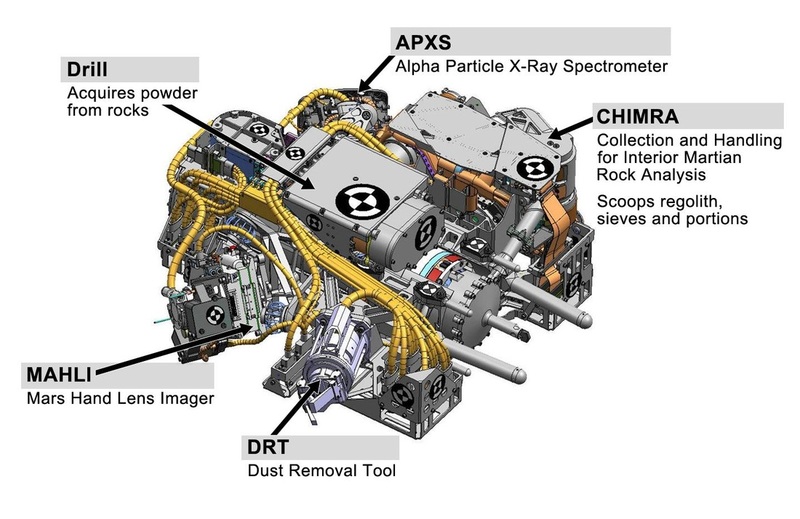 APXS, the Alpha Particle X-Ray Spectrometer, for Curiosity is an advanced model of similar instruments flown on Pathfinder, Spirit and Opportunity which enables scientists to build on extensive instrument heritage and previous APXS operations and data. MSL APXS uses flight proven elements to ensure highly valuable results which can be put in context with data provided by previous APXS flight units. APXS utilizes a combination of methods to determine elemental chemistry of regolith and rocks. Those methods include Particle-Induced X-Ray Emission and X-Ray Fluorescence. 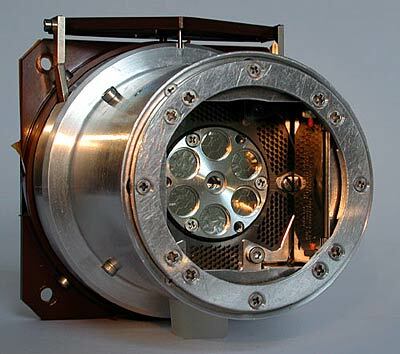 The instrument uses Curium-244 sources for X-Ray spectroscopy to reveal the abundance of major elements down to trace elements. 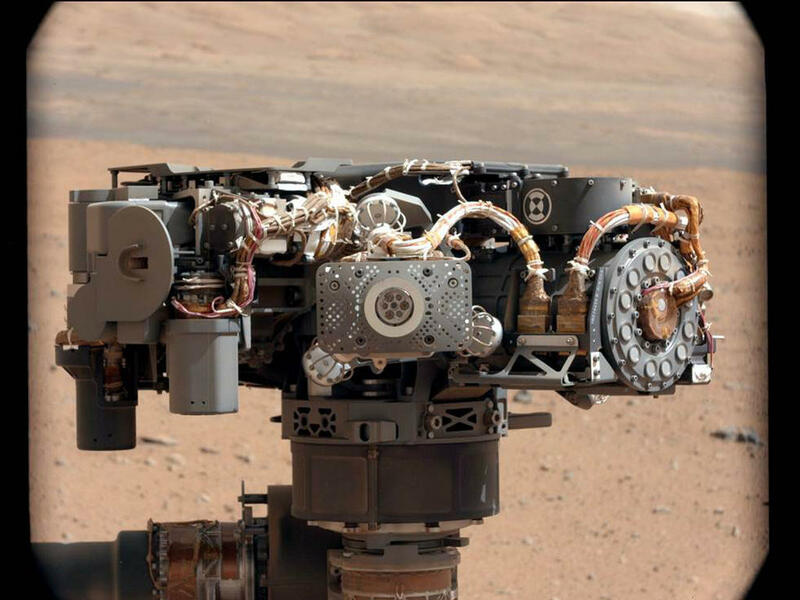 The main electronics unit of the instrument package is located in the rover’s body while the sensor head is mounted on the turret of the rover’s robotic arm. Measurements are performed by deploying the sensor towards a chosen sample placing the sensor at a distance of 2cm or less to the sample. Then, X-Ray emissions are being read for 10 minutes to 3 hours. 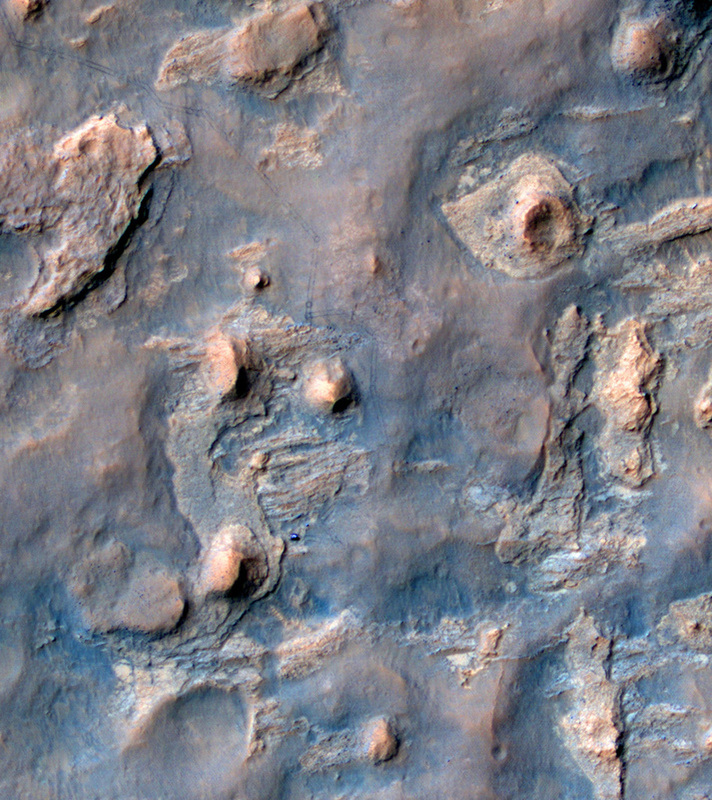 Data is is transmitted to the rover when the scan is complete. A data set will be 32Kb and include 13 consecutively taken spectra and engineering data collections. An internal Peltier Cooler keeps the X-Ray Detector Chip at temperatures well below 0°C for the most accurate readings and extended time windows for APXS Analyses. It also allows science readings during the day. The abundance of major elements (more than 0.5% abundance) can be measured within 10 minutes. Analyses of trace elements with a abundance of several dozen ppm will take 3 hours. Short duration X-Ray spectra can be taken within ~10 seconds to steer the robotic arm in a proximity mode to gain a basic idea of its environment from an elemental point of view. 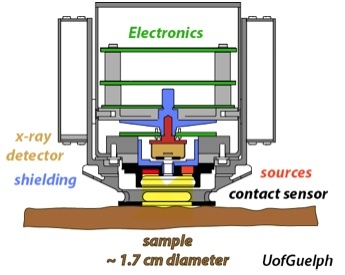 The sampled area is 1.7cm in diameter when the instrument is in physical contact with the sample. Standoffs will result in a larger diameter of the sampled area, but a lower intensity. For low-atomic-number elements, the topmost 5 microns of a sample can be analyzed while high-atomic-number elements are detected from the upper 50 microns. For science readings, samples do not have to be prepared in any way. 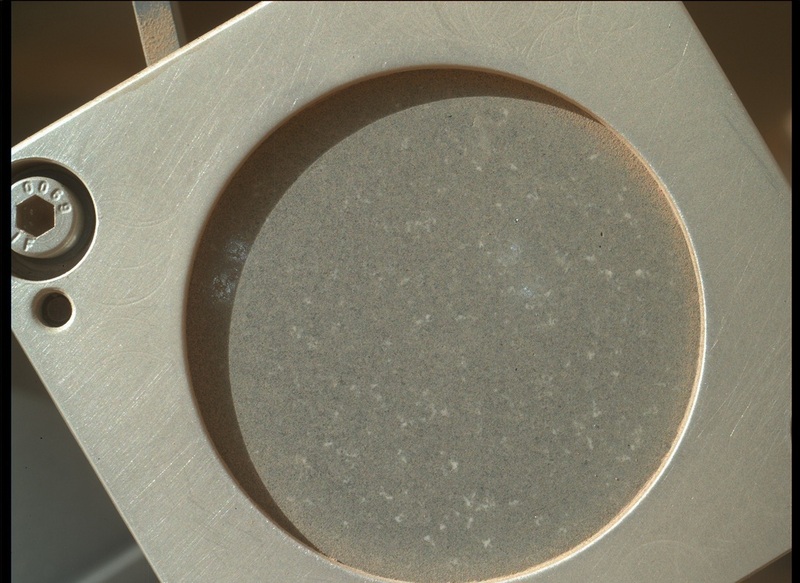 However, MSL’s Dust Removal Tool on the turret can be used to remove dust from rocky surfaces to get exact information on the particular rock and not the dust it is covered with. 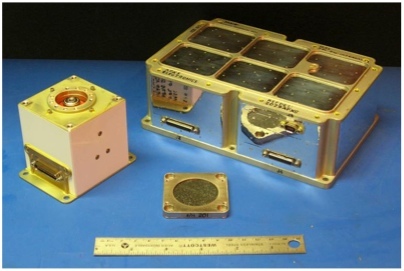 Compared to X-Ray detectors used on previous Mars Rovers, APXS will have a sensitivity that is improved by a factor of 3. MSL APXS has a stronger X-Ray source and can detect elements with larger Proton amounts faster and more accurately. Also, due to improved design and the Peltier Cooler, APXS can be operated at any point in the Martian day. Data analysis of APXS results is well understood and will feature an accuracy of ~10%. Analysis of data is fast and will provide a quick turnaround for tactical rover information such as selecting sampling targets. 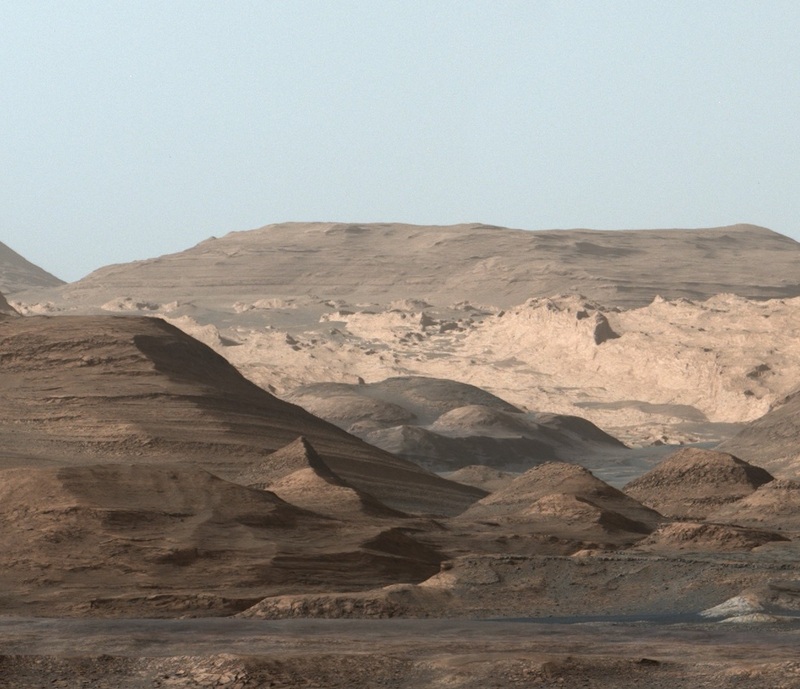 The main objective of the Instrument is to characterize the geological context of the rover’s environment and to investigate the processes that formed the rocks and soil as well as other geological features. Local anomalies will be identified by APXS’ low detection limits and sensitivity for salt forming elements. This knowledge will be used to pick locations for additional studies with other MSL instruments. The rover observation tray for processed samples will enable the spectrometer to provide additional characterization of the samples that are collected and prepared for the analytical instruments. Another objective for APXS is the investigation of the chemical composition of the landing site. 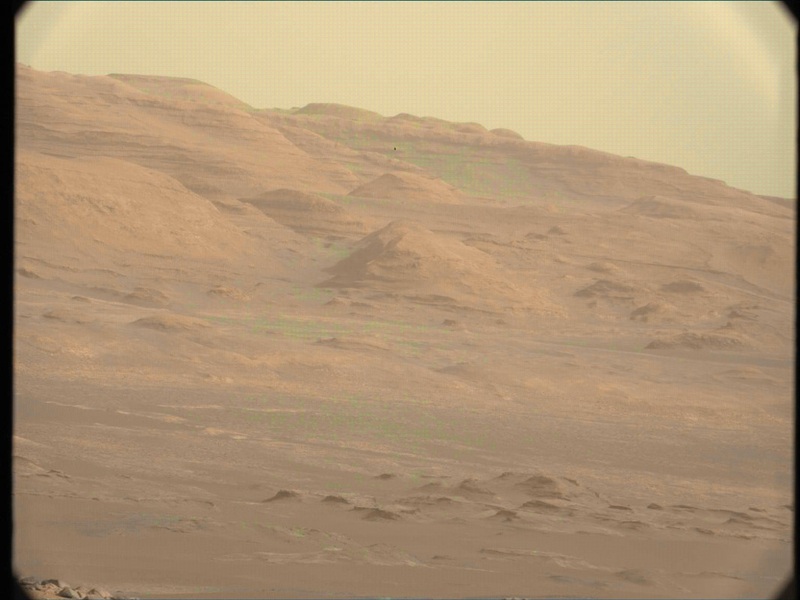 Results from earlier spectrometer readings on Mars will be used to get a more global picture. Elemental data can also be used to extract normative mineralogy. A new method of using the backscattered peaks of the X-Ray Radiation allows the detection of X-Ray invisible components for example bound water or carbonates when present in large amounts (greater than 5%). APXS has been fully calibrated in a laboratory environment using standard geological samples. 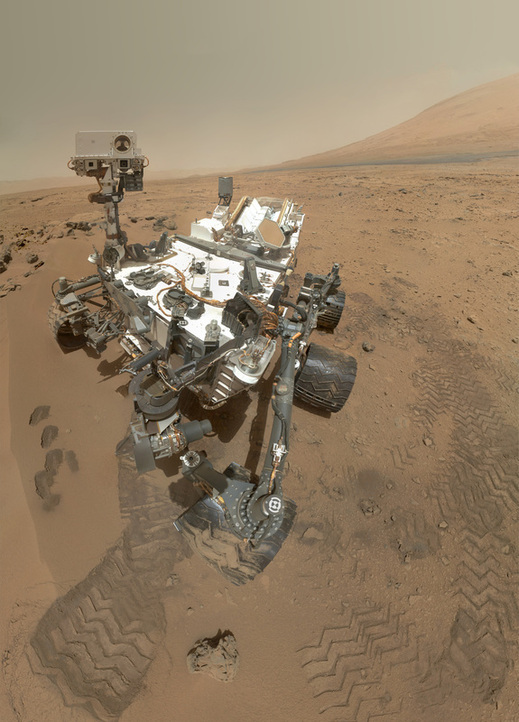 On Mars, calibrations and periodic checks of the instrument’s performance will be performed by scanning a basaltic rock sample surrounded by a nickel plate, mounted on the rover within a the robotic arm’s reach.